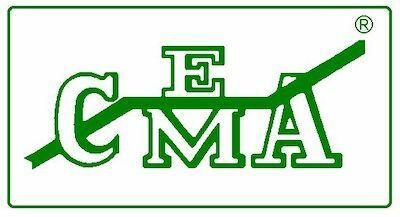 CEMA MEMBERS in the NEWs! 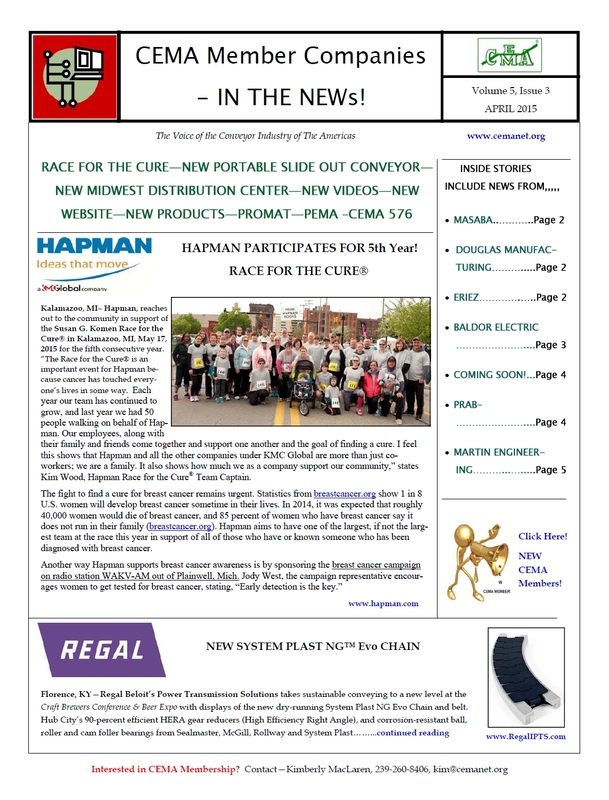 Take a look at APRIL 2015 NEWs! RACE FOR THE CURE! 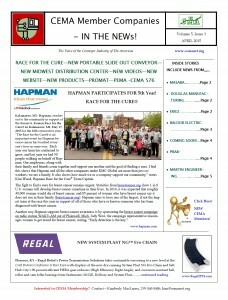 NEW PORTABLE SLIDE OUT CONVEYORS, NEW MIDWEST DISTRIBUTION CENTER, NEW VIDEOS, NEW WEBSITES, PRODUCTS, PEMA AND CEMA #576! 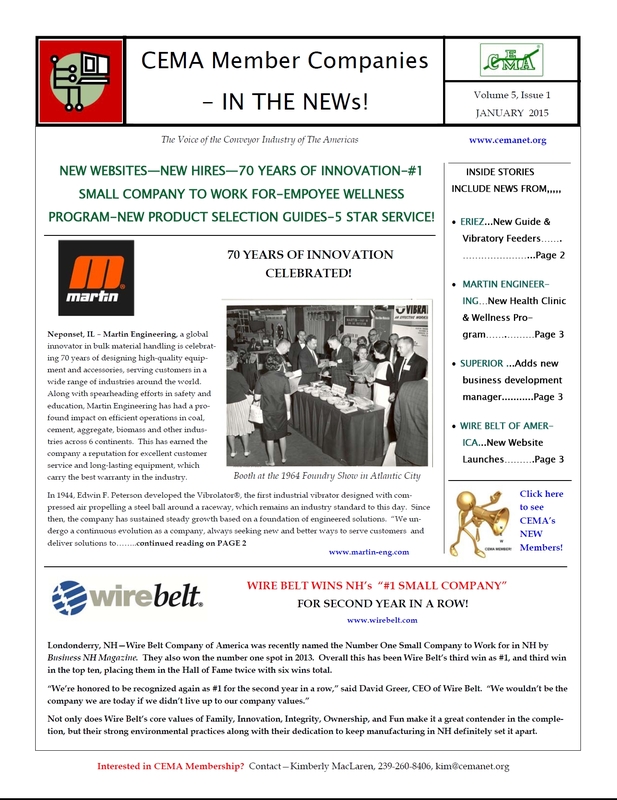 Take a look at MARCH 2015 NEWs! 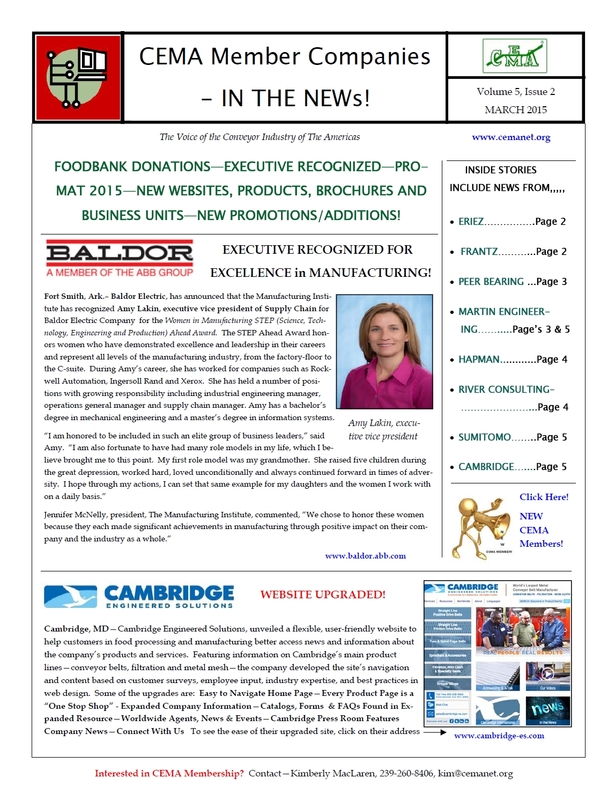 THERE HAVE BEEN FOOD BANK DONATIONS, EXECUTIVE’s RECOGNIZED, PRO-MAT 2015 ATTENDANCE, NEW WEBSITES, PRODUCTS, BROCHURES, BUSINESS UNITS, AND NEW PROMOTIONS AND ADDITIONS TO COMPANIES! Take a look at JANUARY 2015 NEWs! 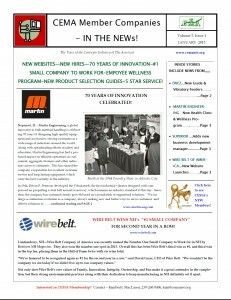 MEMBERS CELEBRATE 70 YEARS OF INNOVATION, AWARDS FOR BEING #1 SMALL COMPANY TO WORK FOR, NEW PRODUCT SELECTION GUIDES, 5-STAR SERVICE, NEW WEBSITES AND NEW HIRES!